Mike Greene - For Shaw Media Jacobs' Casey Dennison, left, prepares to throw after fielding a bunt by Huntley's Charlie Nugent, right, during a baseball game Saturday, April 23, 2016 in Huntley. 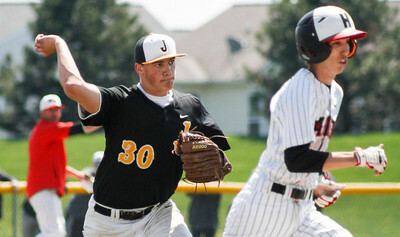 Huntley defeated Jacobs 6-5 in nine innings. Mike Greene - For Shaw Media Huntley's Joe Boland, left, prepares to slide into home plate as teammate Tyler Koss directs his slide during a baseball game against Jacobs Saturday, April 23, 2016 in Huntley. Huntley defeated Jacobs 6-5 in nine innings. 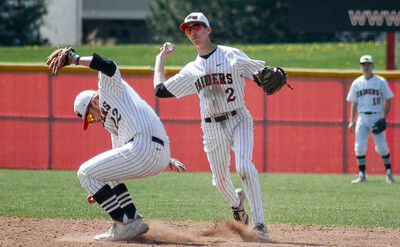 Mike Greene - For Shaw Media Huntley's Charlie Nugent, right, prepares to throw to first base as teammate Trevor Ranallo moves out of the way during a baseball game against Jacobs Saturday, April 23, 2016 in Huntley. 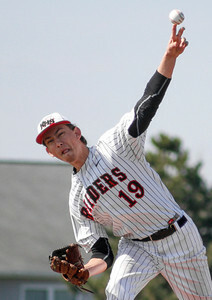 Huntley defeated Jacobs 6-5 in nine innings. 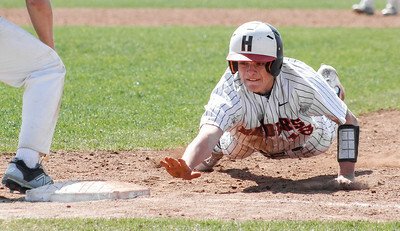 Mike Greene - For Shaw Media Huntley's Tyler Koss dives back to first base during a baseball game against Jacobs Saturday, April 23, 2016 in Huntley. 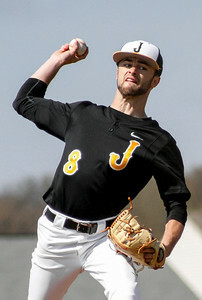 Huntley defeated Jacobs 6-5 in nine innings. 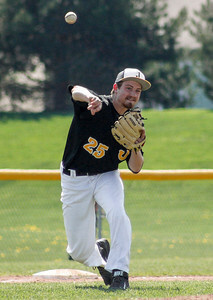 Mike Greene - For Shaw Media Jacobs' Tim Randi throws to first base during a baseball game against Huntley Saturday, April 23, 2016 in Huntley. Huntley defeated Jacobs 6-5 in nine innings. 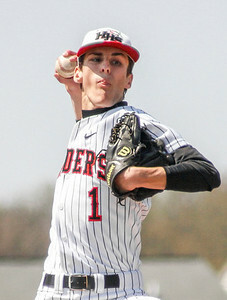 Mike Greene - For Shaw Media Huntley's Kyle Morgan pitches during a baseball game against Jacobs Saturday, April 23, 2016 in Huntley. Huntley defeated Jacobs 6-5 in nine innings. Mike Greene - For Shaw Media Jacobs' Evan Liebau pitches during a baseball game against Huntley Saturday, April 23, 2016 in Huntley. Huntley defeated Jacobs 6-5 in nine innings. Mike Greene - For Shaw Media Huntley's Cameron Reed pitches during a baseball game against Jacobs Saturday, April 23, 2016 in Huntley. Huntley defeated Jacobs 6-5 in nine innings. 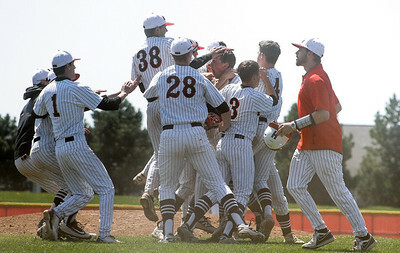 Mike Greene - For Shaw Media Huntley players celebrate after defeating Jacobs 6-5 in nine innings of a baseball game against Huntley Jacobs Saturday, April 23, 2016 in Huntley. Mike Greene - For Shaw Media Huntley head coach Andy Jakubowski argues a call with the umpire during a baseball game against Jacobs Saturday, April 23, 2016 in Huntley. Huntley defeated Jacobs 6-5 in nine innings. 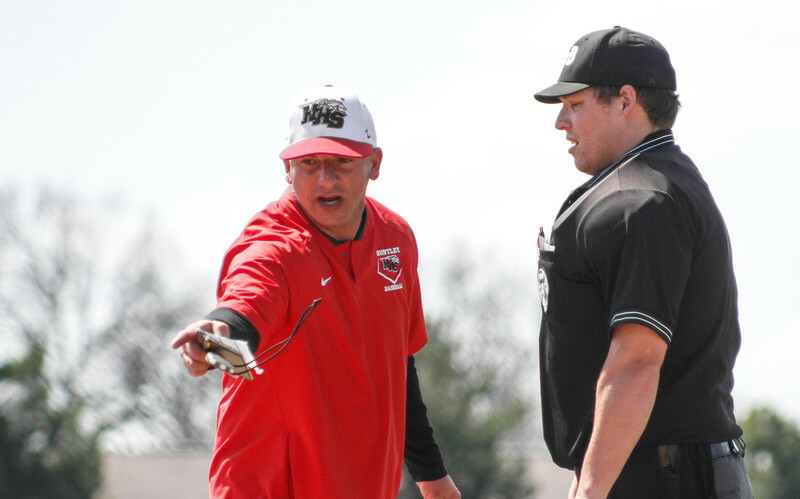 Huntley head coach Andy Jakubowski argues a call with the umpire during a baseball game against Jacobs Saturday, April 23, 2016 in Huntley. 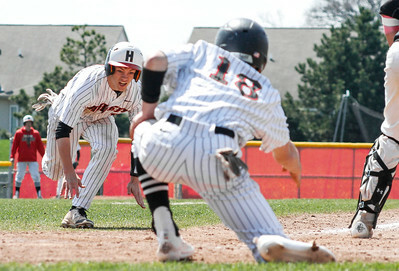 Huntley defeated Jacobs 6-5 in nine innings.